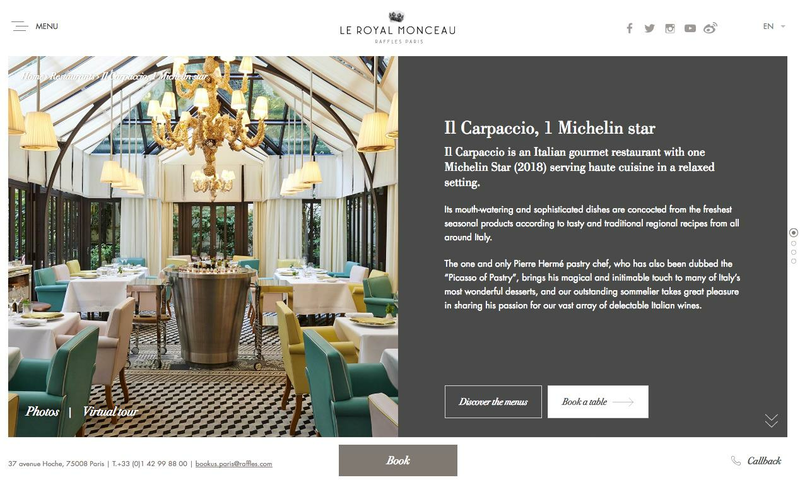 menumodo replaces multiple PDFs or custom HTML solutions on hotel dining pages and restaurant websites. Menus can be integrated in a wide range of formats and displays, using standard widgets, custom designs or simple URLs. menumodo can also be used for all brochures - Spa, Weddings, Meetings, etc. Flexible license terms and revenue-share models available. Menus are included in a lightbox using a URL on the hotel website. Menu display has a custom design to match website fonts and style.